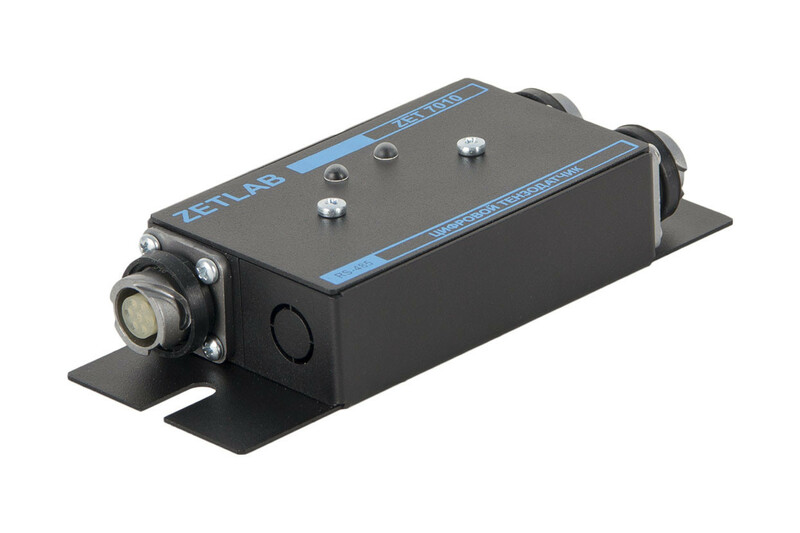 Load sensors ZET 7110 in industrial explosion version are supplied upon special order for additional cost. 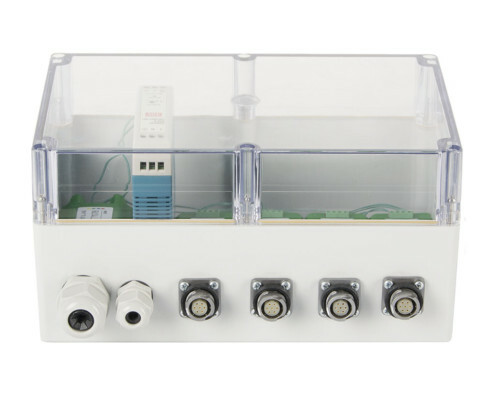 Interface converter synchronizes the digital sensors. This allows to observe the interaction in different points (locations of the digital sensors) of the facility and draw diagrams. Standard: laboratory design in a plastic cover (green). Heavy Duty*: depending on the task specifics, this may be a version in a heavy duty cover (black) or location of the standard-design unit in an air-tight cover (with a transparent lid). 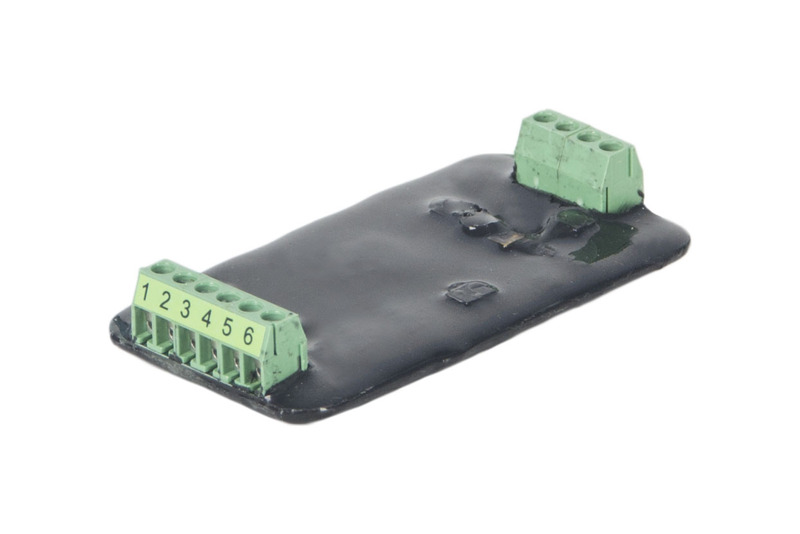 Ex-proof*: in a heavy duty cover with the explosion protection system of 0ExiaIICT6 X type. *The cost is calculated individually. 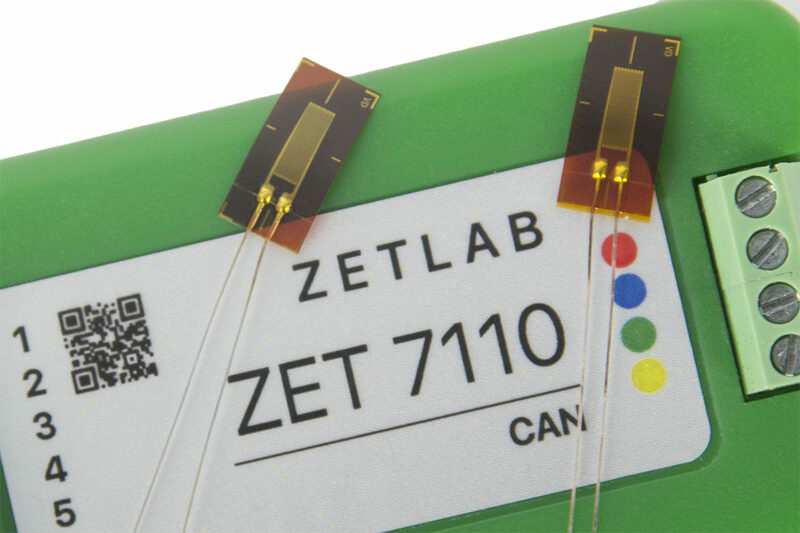 The ZET 7110 module is intended for measuring the relative deformation using primary transducers based on tension gauges. 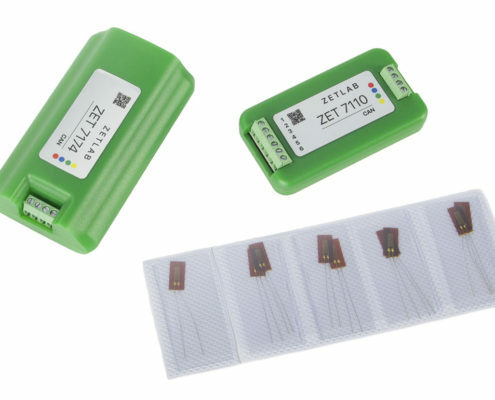 These may be either assembled tension gauges (force gauges, torque gauges), or detachable tension gauges connected using half-bridge or bridge mode. 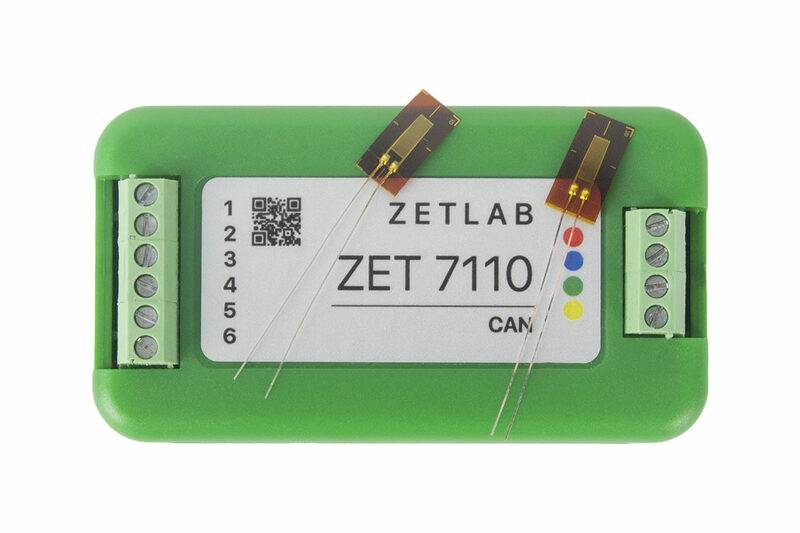 Gauge runs on DC voltage, so ZET 7110 is used for static measurements. 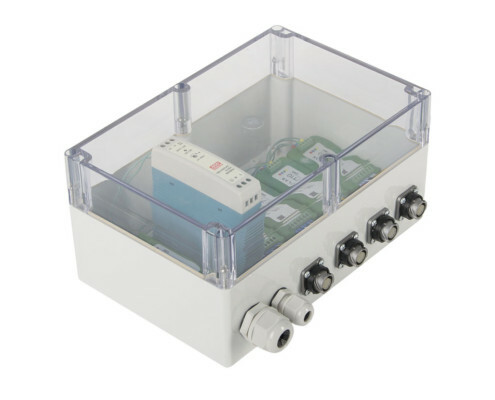 The sensors are fixed on the object of measurement while the interface units ensuring information transmission are mounted in an air-tight box. 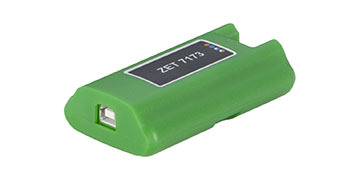 An advantage of the ZETSENSOR units is easy installation and uninstallation as well as indication of feed and signal transmission which, in its turn, facilitates diagnostics of the system at the facility. 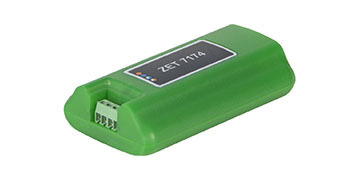 The ZET 7111 gauge is intended for dynamic measurements which inputs AC to the bridge circuit. 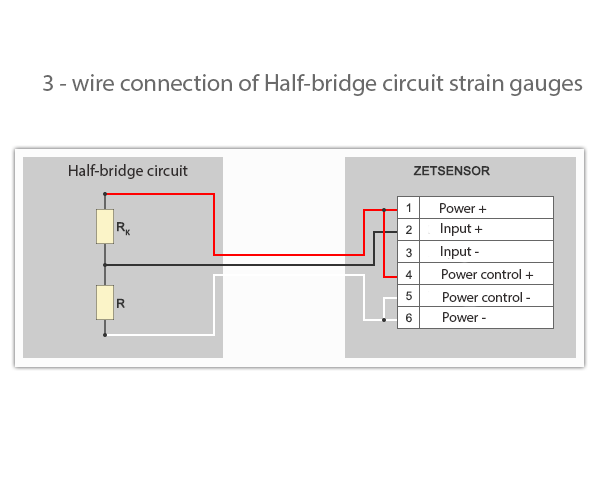 The digital strain gauge station consists of a tension gauge (tension bridge) and the ZET 7110 measuring unit which converts the signal from the gauge to the values of force, tension, pressure, etc. 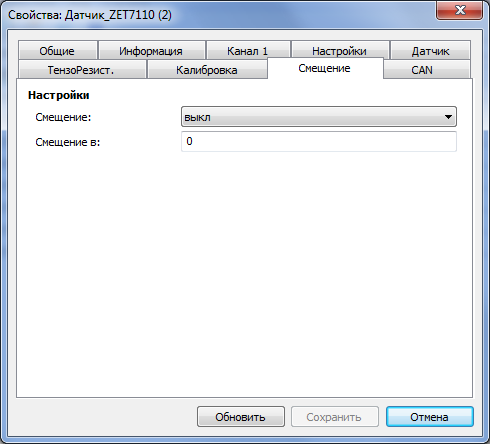 The resulting values are transmitted via CAN 2.0 interface. When using digital gauges in explosion-hazard areas, one should observe the applicable national requirements. Installation in explosion-hazard areas is allowed for heavy duty design (metal cover) digital gauges intended for use in explosion-hazard areas and bearing the relevant marking on their bodies: 0ExiaIICT6 X. 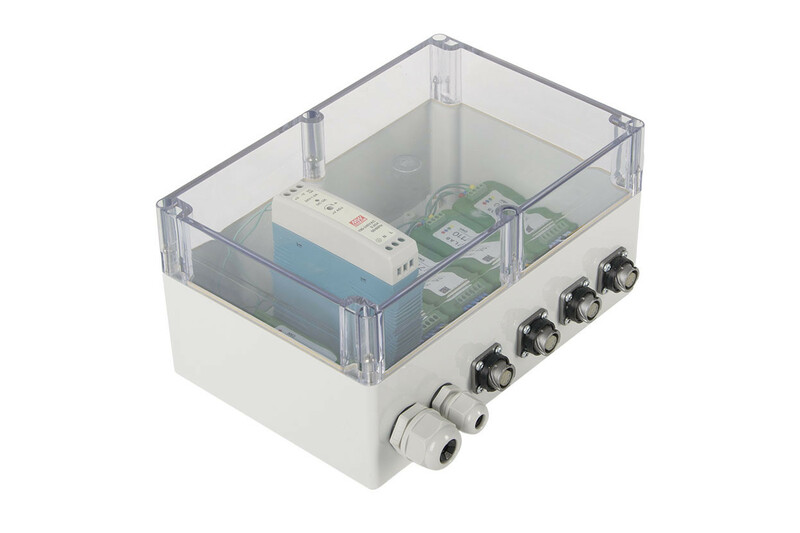 For the communication via data transmission channels and electric circuits the circuits of digital gauges installed in explosion-hazard areas shall be connected to interface converters and power supply sources through intrinsic safety barriers located in explosion-safe areas. 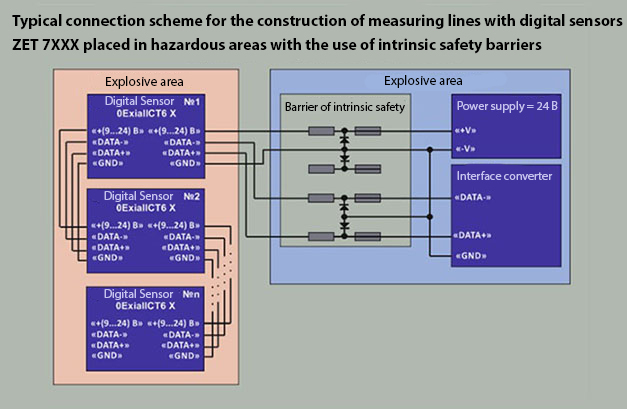 A typical connection diagram for digital gauges installed in explosion-hazard zones is provided on the figure, and the recommended types of intrinsic safe barriers, in the table below. The typical diagram on the figure below shows names of circuits for RS-485 interface; when designing CAN interface connection diagrams, the names of the circuits shall be replaced as follows: “DATA-” to “H” and “DATA+” to “L”. 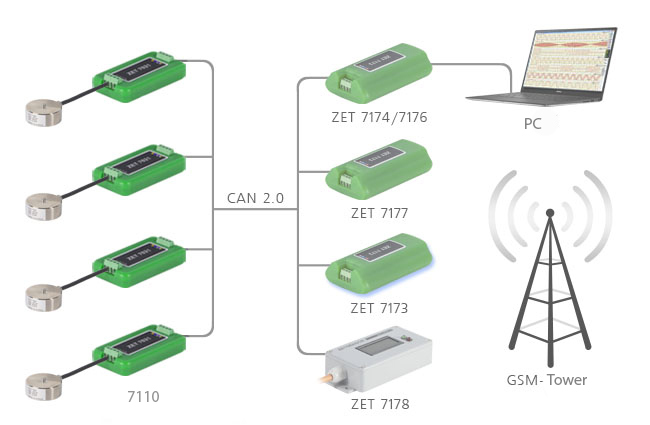 The use of load sensors is very convenient when building distributed measurement networks. 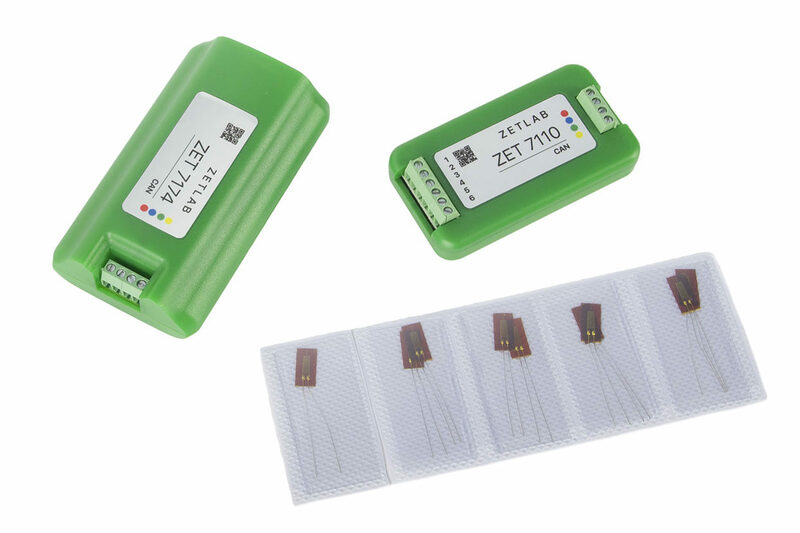 As opposed to conventional centralized measurement circuits, connection of “star” type is not required, which allows for decreasing the overall length of circuits. 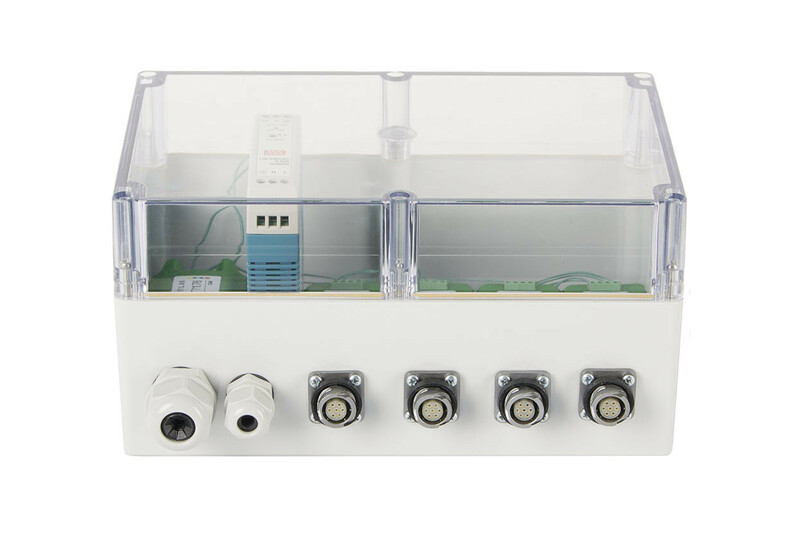 Since the data are transmitted in a digital form, the requirements for data transmission channel can be lowered and less expensive cable can be used for network building. 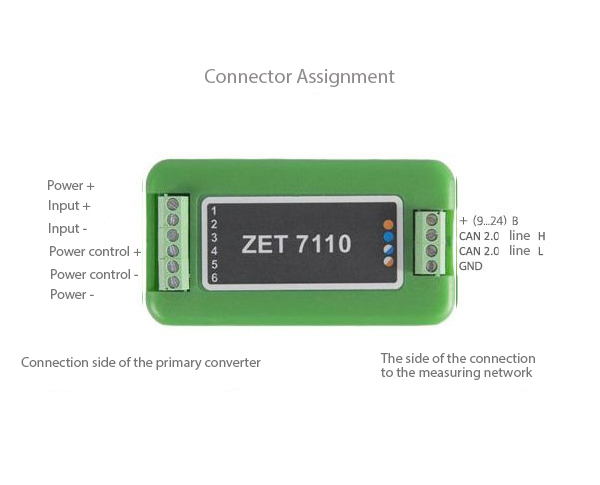 When building a measurement network, ZET 7110 gauges are connected in series; the resulting measurement chain is then connected to a computer using an interface converter: ZET 7174 (CAN ↔ USB), ZET 7176 (CAN ↔ Ethernet or Wi-Fi), ZET 7177 (CAN ↔ GSM) or ZET 7172S + ZET 7172M + ZET 7174/ZET7176 kit (data transmission via radio channel). 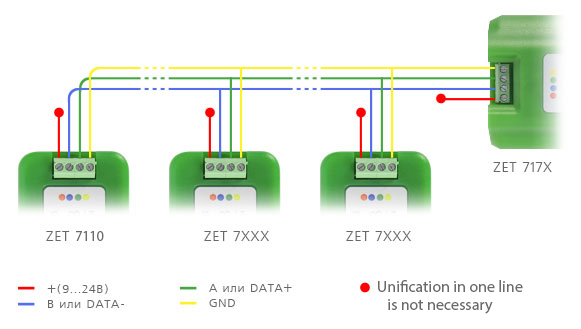 The number of gauges connected to ZET 7174 shall not exceed 4. 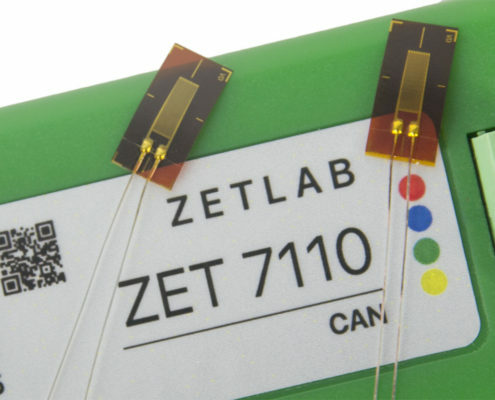 ZETLAB software supports connection of up to 200 digital gauges to a single computer. 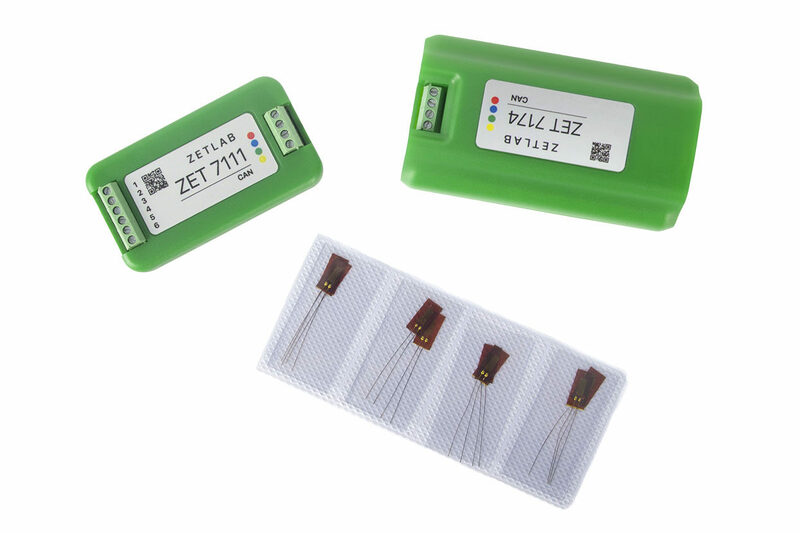 All required settings are stored in the memory of the ZET 7110 measuring unit at factory. 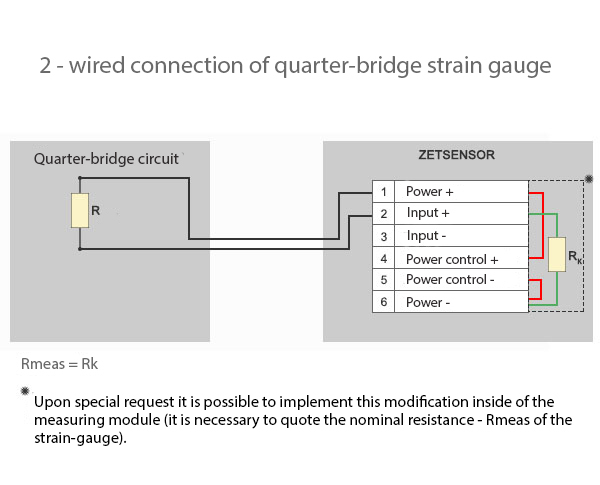 When independent setting of a digital tension gauge is required, for instance, in case of replacement of a primary transducer, connect the unit to a computer via the interface converter and launch Device Manager. 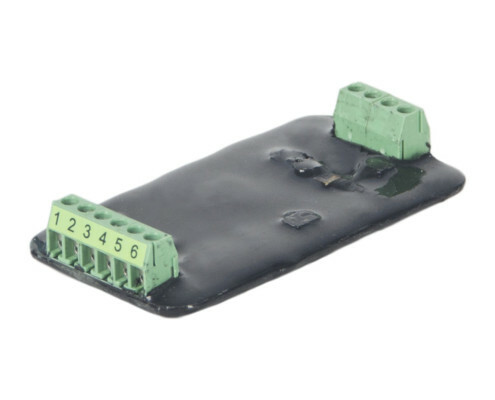 This tab is used for setting measurement channel. Calibration curve Set “Transmission ratio” parameter when the linear response of the primary transducer used in combination with the digital gauge is known. Set “Calibration curve” parameter when the linear response of the primary transducer is unknown but it is possible to perform its point calibration for the required measurement range. Accuracy (%) Yes – This parameter sets the value of measurement accuracy in per cent. 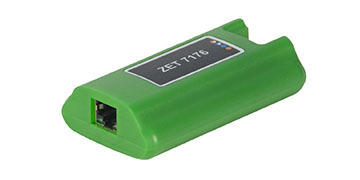 Set this value in accordance with the technical specifications of the primary transducers used in combination with the ZET 7×10 and ZET 7111 digital gauges. etc. The specified measurement units for identification of physical units in which the variable is measured. They are not used by the digital gauge for any conversions, however, it should be noted that when calculating Sp the parameter values shall be used in the relevant measurement units. 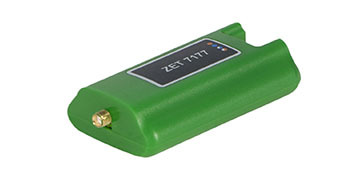 Gauge serial number Yes – Set this parameter only in case of a requirement for identifying the serial number of the gauge connected to digital gauges of the ZET 7×10 and ZET 7111 series. 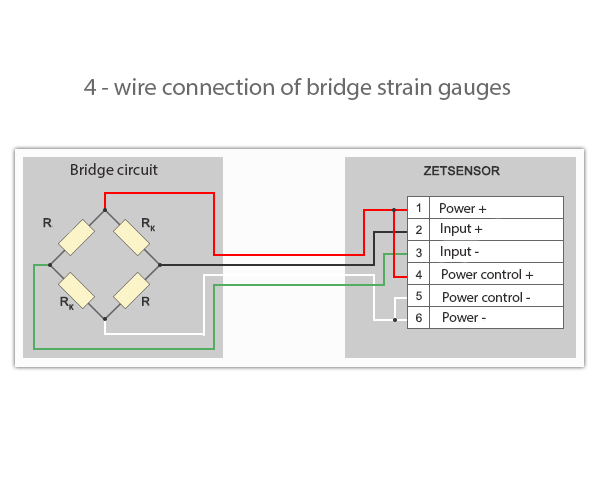 The “Gauge” tab indicates parameters of the connected tension or force gauge. 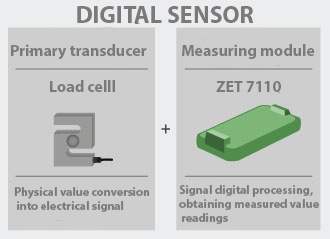 On When an external primary transducer (gauge) is connected to digital gauges of the ZET 7×10 or ZET 7111 series, select “on” value. Measurement range (in units) Yes – This parameter defines the maximum range of the gauge measurement values. The parameter is indicated in the gauge certificate. 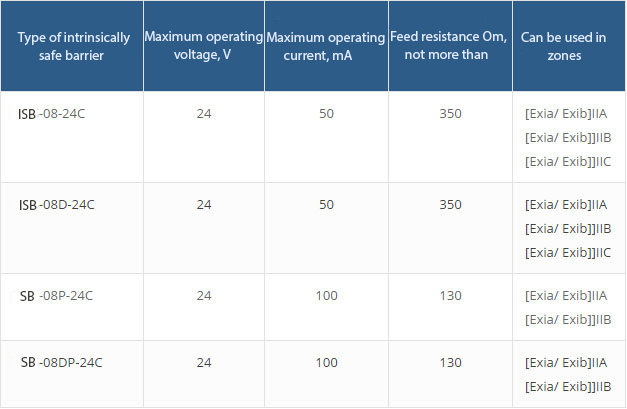 Sensibility (Sd) Yes – The parameter defines the sensitivity of the external gauge. 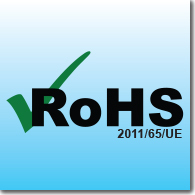 The parameter is indicated in the gauge certificate. 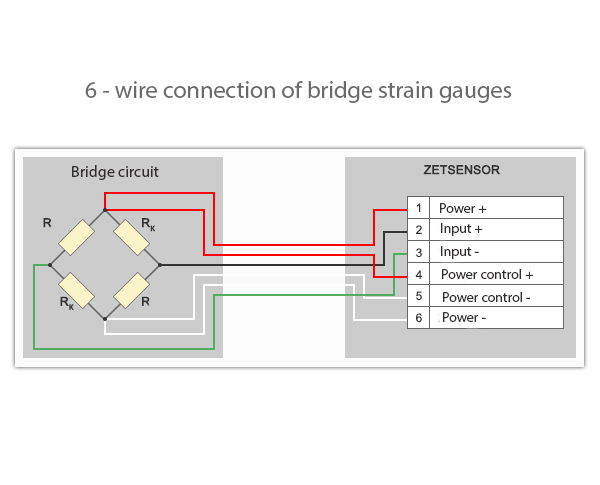 The “Tension resistor” tab indicates sensing element parameters when bridge and half-bridge circuits are used. 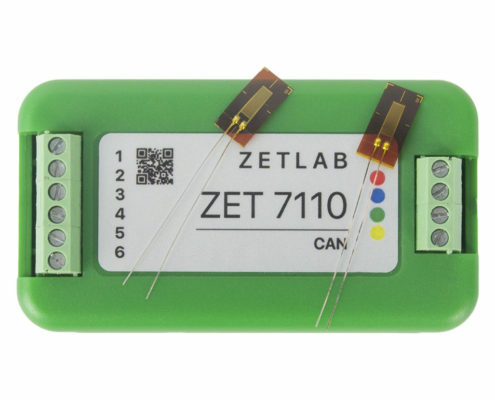 On Select “on” when external tension resistors are connected to digital gauges of the ZET 7×10 or ZET 7111 series. 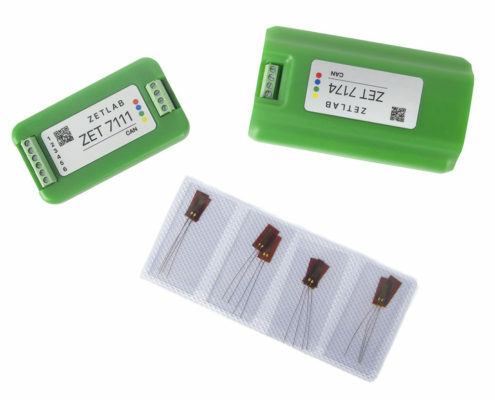 Sensibility (Sr) Yes Depends on the circuit and selected measurement units The parameter defines the sensibility of a digital gauge considering the used circuit and measurement unit. The “Calibration” tab is used for calibrating the digital gauge (measurement unit completed with a primary transducer). The tab contains 10 points for calibrating the digital gauge within its measurement range. The calibration is required only when the characteristics of the digital gauge (equipped with an in-built or external primary transducer) is unknown, but it may be possible to ensure a known load (or travel) impact within the whole measurement range. 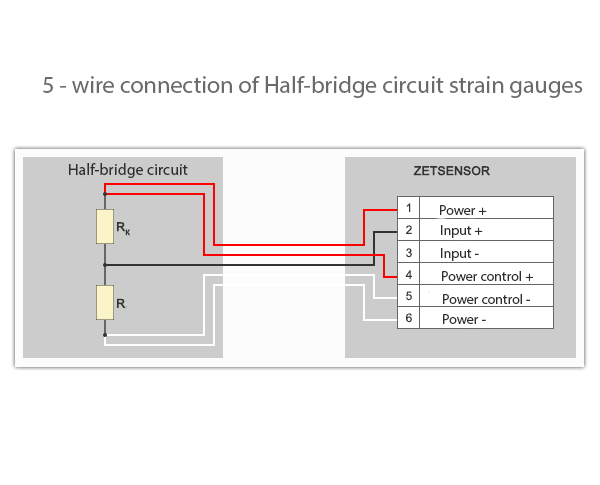 The figure above shows an example of three-point calibration of ZET 7110 DT series gauge for operation in ±0.7 mm range. For calibration, the digital gauge was fixed on M4 mounting screws. 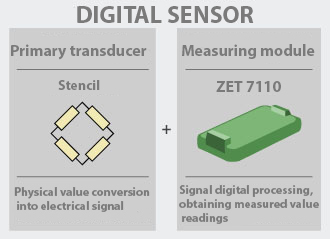 “Direct current voltage meter” software indicator in the “Measurement” menu on ZETLAB software pane defines the measured values for each of the three points of ZET 7110 DT digital gauge compression degree. 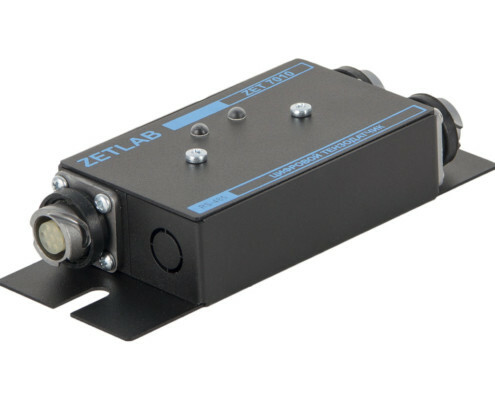 The reference value of 0.7 mm (point 3 in the calibration table) corresponds to the minimum degree of compression of the digital gauge sensing element and equals to the start of reaction to the compression of the digital gauge with compression screws. The reference value of 0 mm (point 2 in the calibration table) corresponds to the medium compression degree and is determined by the magnitude set by turning the 0.7 mm thread pitch mounting screw 1 turn clockwise (0.7 mm *1 = 0.7 mm). The reference value of 0.7 mm (point 1 in the calibration table) corresponds to the maximum compression degree and is determined by the magnitude set by turning the 0.7 mm thread pitch mounting screw 2 turns clockwise. 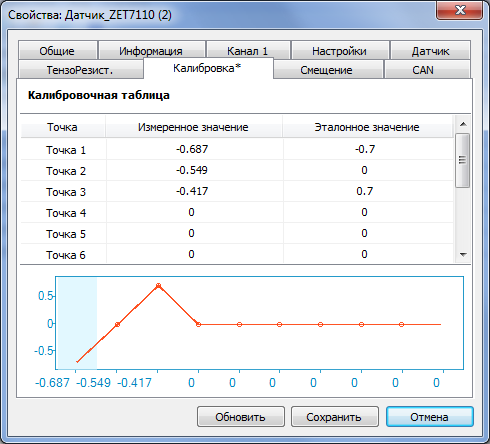 After calibration, press the “Save” button and then set the “Calibration curve” value of “Calculation method” on the “Settings” tab and set “mm” for “Measurement unit”, and save all the changes. The “Displacement” tab is used to set displacement in the initial measurement point. On Turning the set displacement value on/off. Displacement in unit Yes – This parameter indicates the value necessary to be set as a current indication of the digital gauge. 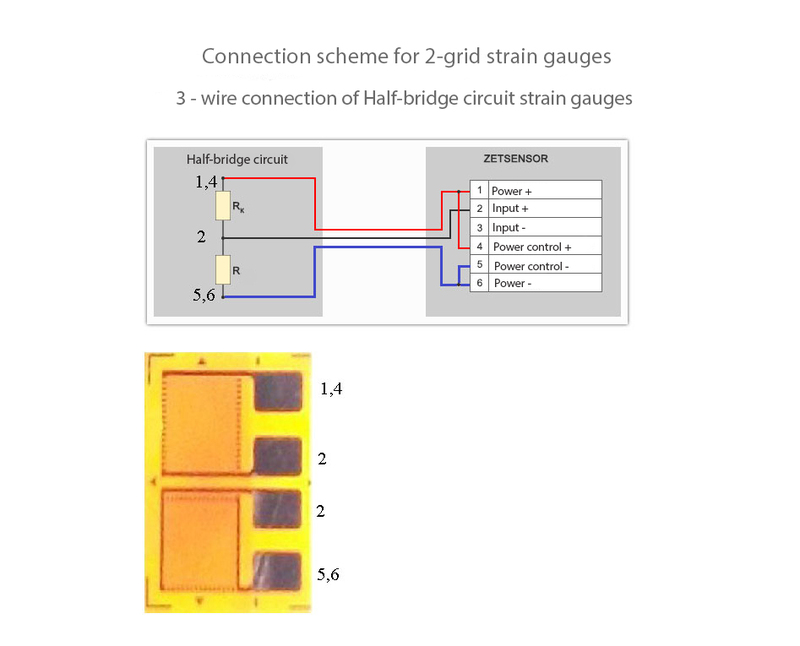 Example No 1: it is known that a structure element was exposed to 500 MPa strain by the moment of the digital gauge installation, to account for the pre-loaded state of the structure element. Enter “500” value in the “Displacement for” field, select “On” in the “Displacement” field, then activate “Save” field; the digital gauge will start registering changes of the controlled structure element strain taking into account the 500 MPa stress. Example No 2: after installation of tension resistors, the controlled structure element is in a position relative to which its deformation shall be measured. Enter “0” value in the “Displacement for” field, select “On” in the “Displacement” field, and then activate the “Save” field; the digital gauge will start registering the controlled structure element deformation relative to the set zero value.